I don't know what to do about this problem I have. My whole condo smells like smoke. My clothes smell like smoke. My lungs are infiltrated and I can't stop. Because it is my neighbors! I recall having a very slight version of this problem in previous years - how when the air or heat first kicks on for the season, some backed up smoke-smell emits through the vents. My side-by-side neighbors smoke on MY side of the landing (a much better view), which then comes around the corner and in through my balcony doors and kitchen window if I have them open. Now, however, the smoke is attacking me from all sides. If I leave my bedroom window open - to which there is no landing near, no place for someone to be outside smoking near, smoke FILLS my room morning and night. I have gone so far as to walk out behind the building to see if I can find the source. No luck. So what's a gal to do? I wake up physically nauseous and the inside of my nose cracks/bleeds and my throat hurts. If I leave my windows shut, the vents spew forth the smell all throughout the house (particularly the bathrooms). If I open the windows, the acrid smoke fills my bedroom and two bathrooms. I understand smoking is an addiction, my grandfather died from lung cancer and the second-hand smoke gave my grandmother emphysema and chronic bronchitis. That's the kicker. I choose not to smoke. I choose to keep the air around me clean. Why am I being forced to give up my agency on the matter? I fully support a person's right to smoke, but why can I not support my right not to smoke at the same time? This is my home. MY HOME! And their smoke is tainting my life and health. I live in an owners neighborhood. Only 10% of the owners are allowed to rent out their condos, and I luckily snagged one. There are my dear. ESPECIALLY where there are shared vents involved. Violation of the clean air act. I know there are regulations for apartment complexes-because yours allows to rent your apartment may apply to the same guidelines. You just need to be the thorn in everyone's side--including your landlord's-until it's fixed. WHO CARRES if you're blacklisted? It's IN YOUR HOME. It's not tlike youre being the trouble child because you are occasionally getting whiff of it. It is affecting your quality of life, and THEIR bad habits are potentially affecting your health. I had the same problem with the last person who lived under my apt. He would smoke in his bathromm which was attached to MY bathroom, and spill into my bedroom. I talked to him, and he stopped talking to me after, but at least he started smoking outside. My advice is to talk to your neighbors first, but if the behavior doesn't change and PRONTO-COMPLAIN AWAY!! 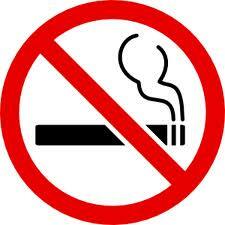 Te Utah clean air act prohibits them from smoking within ascertain distance of any door. I can't rremember, 25? 35? Feet. Either way it's enough that they can't smoke on the landing! Okay, I officially sent my landlord all the details of what is happening. He works with high-end resorts, so he may have an air neutralizer suggestion for me. If not, he can at least work with the HOA to get the tenants informed of the clean air act. EVERY time I smell the smoke and go outside, I see the fresh ciggy, but never the person who smoked it. Always late, dang it. But this morning the smoke was just as bad, maybe worse, as ever, leaving me with a sore throat and a headache. UGH.